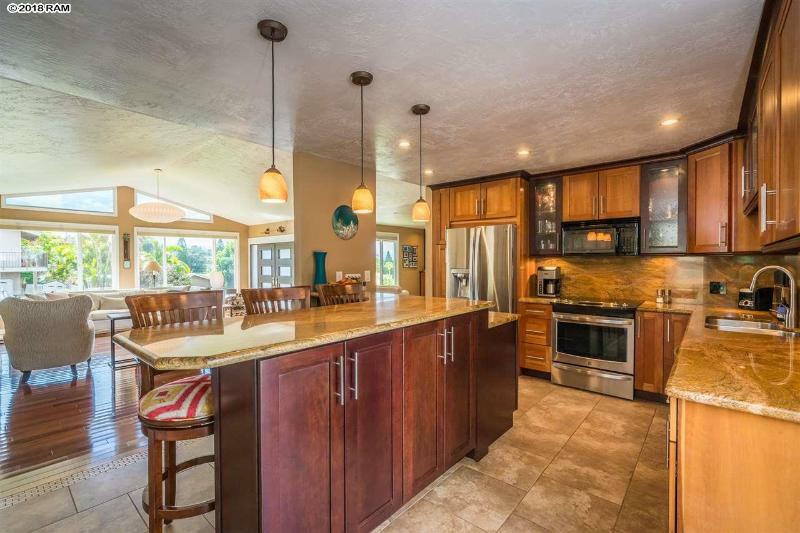 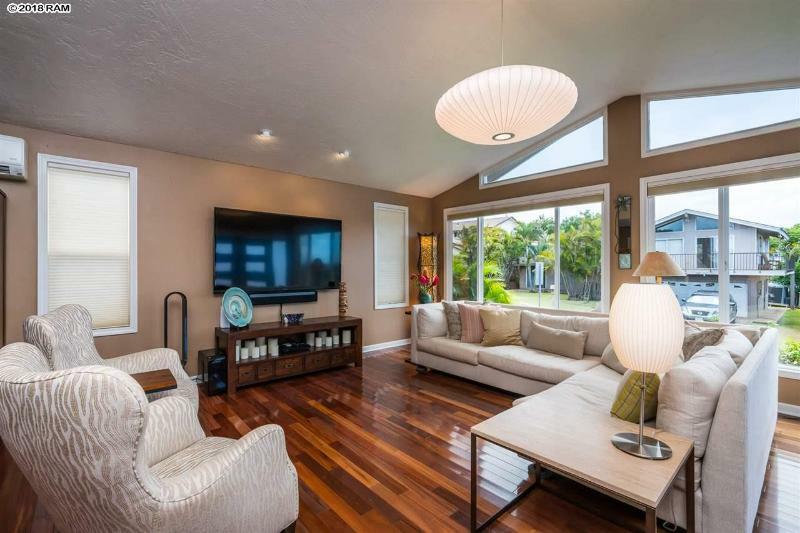 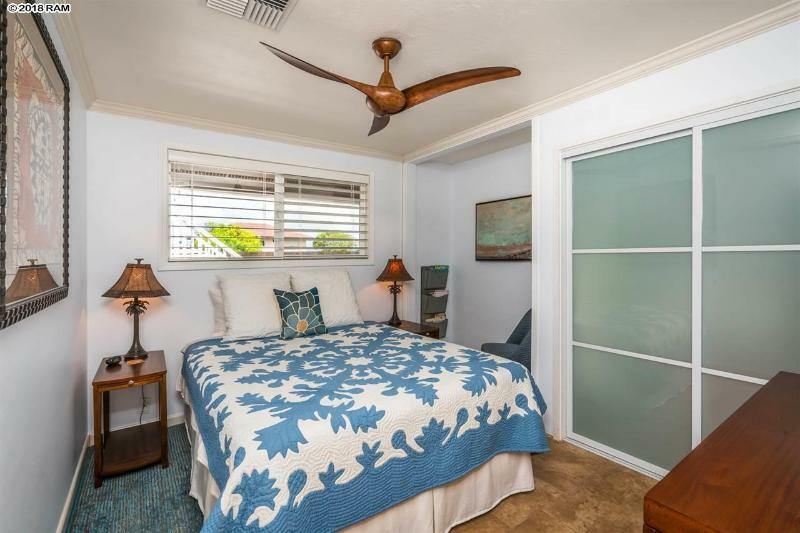 Impeccable Pukalani Home. 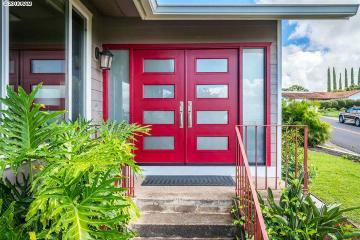 This Upcountry home exudes quality from the moment you walk in the bright red custom front doors. 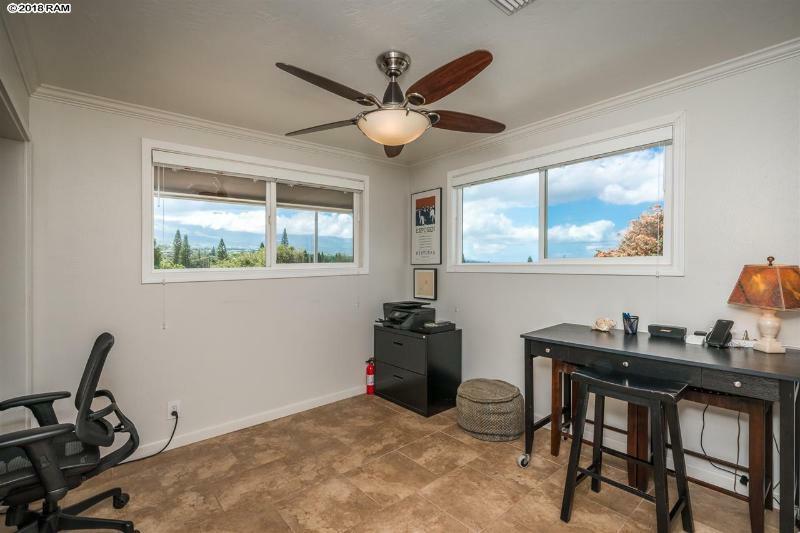 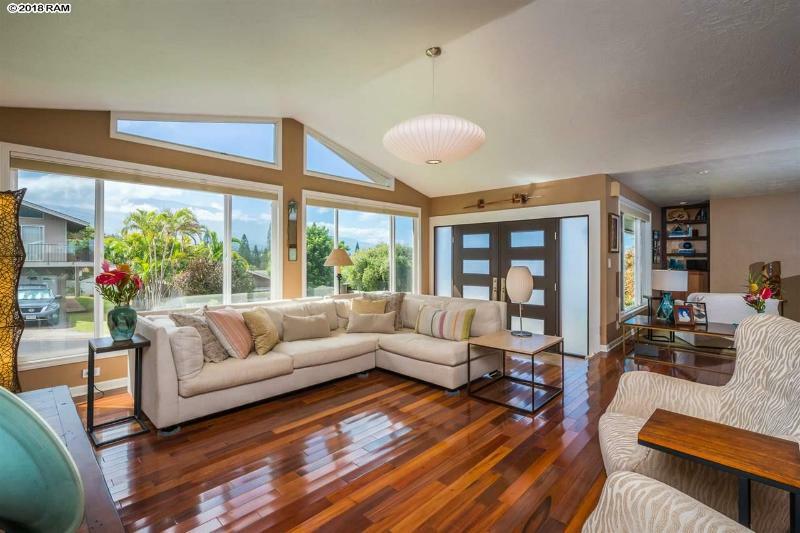 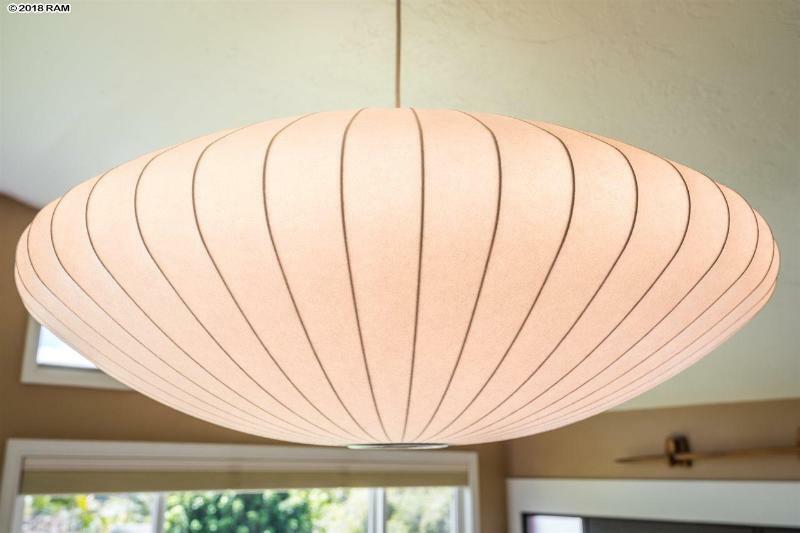 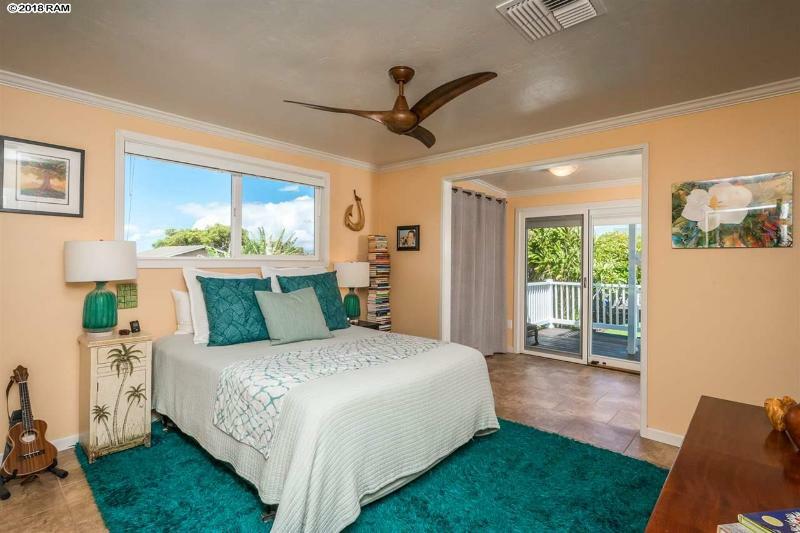 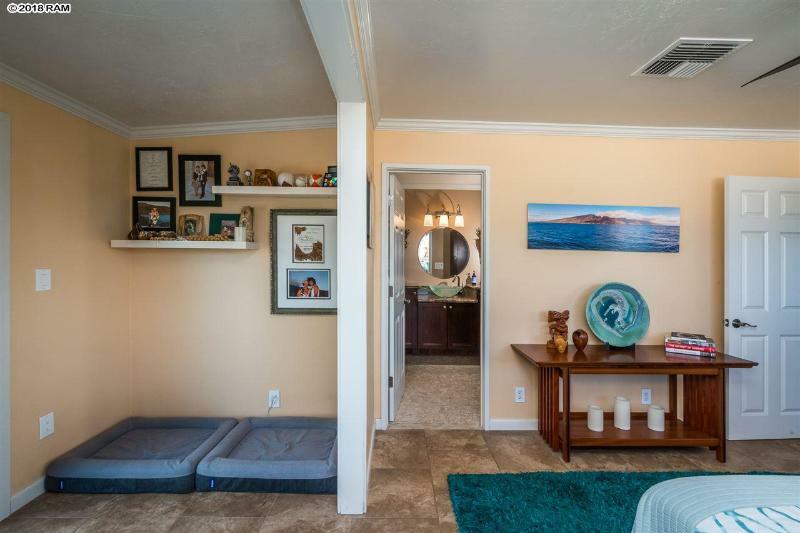 You immediately enter an open living area with vaulted ceilings. 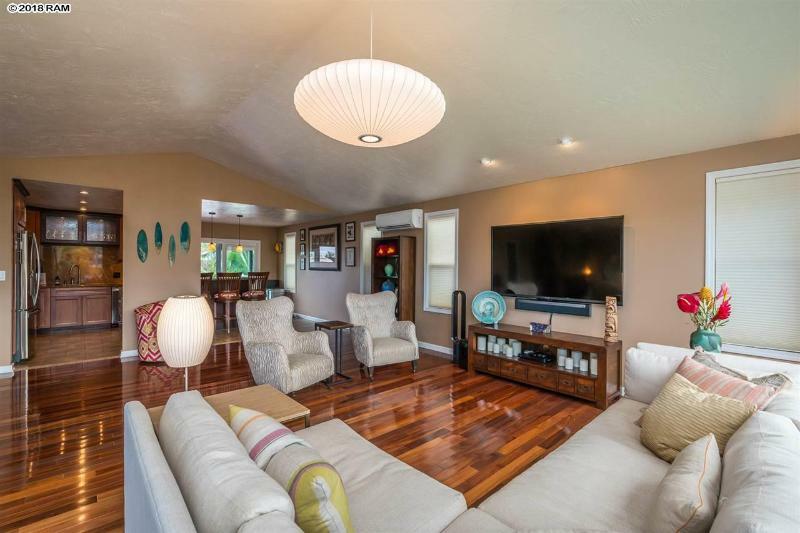 The living room is cooled by a split system a/c. 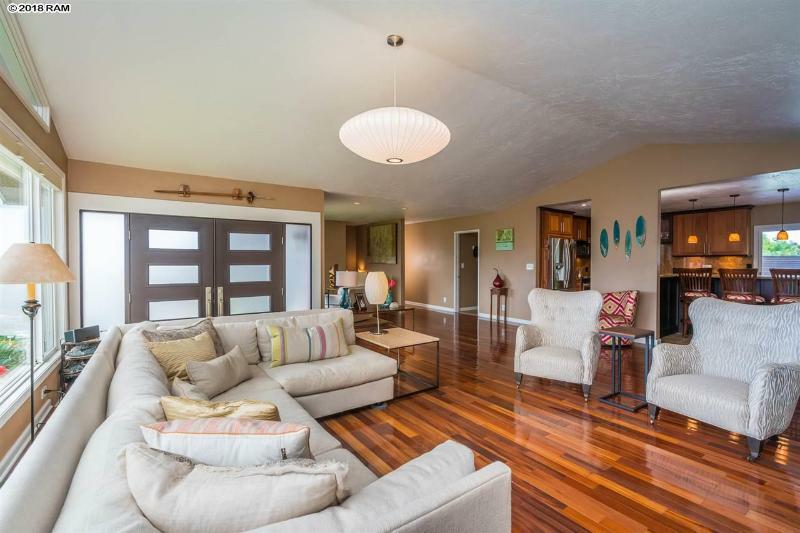 The floors are a striking tiger wood. 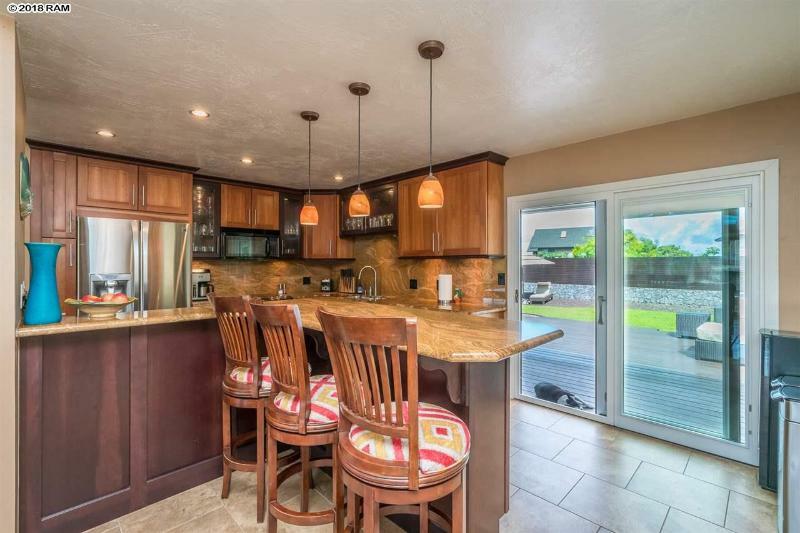 Just off the living area is the equally impressive kitchen with cherry cabinets, granite counters, stainless steel appliances and porcelain tile floors. 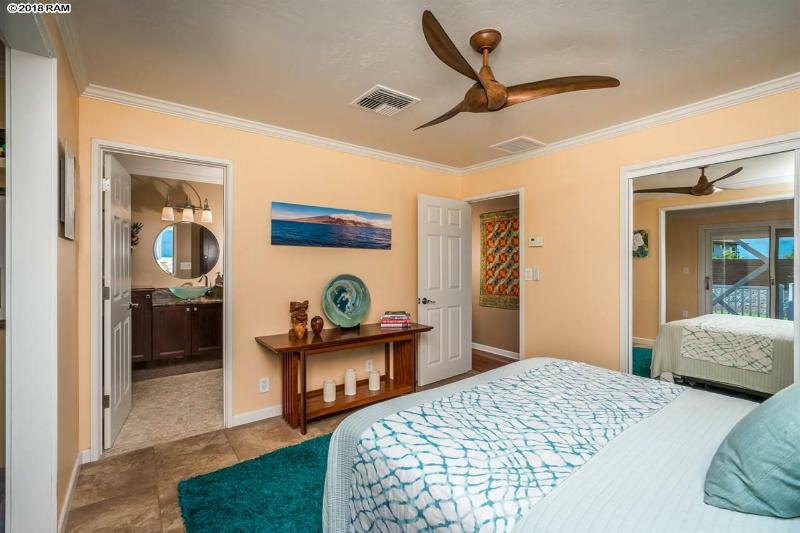 The bedrooms are serviced by Central A/C. 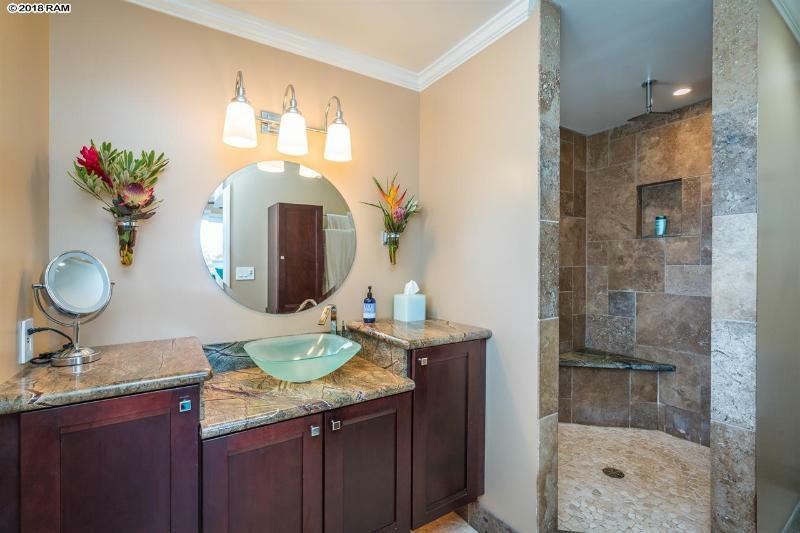 The master suite includes a sumptuous master bath. 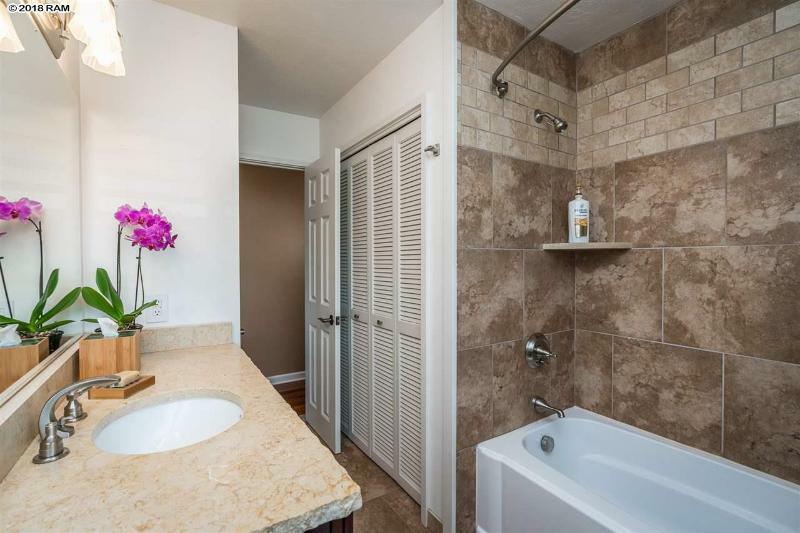 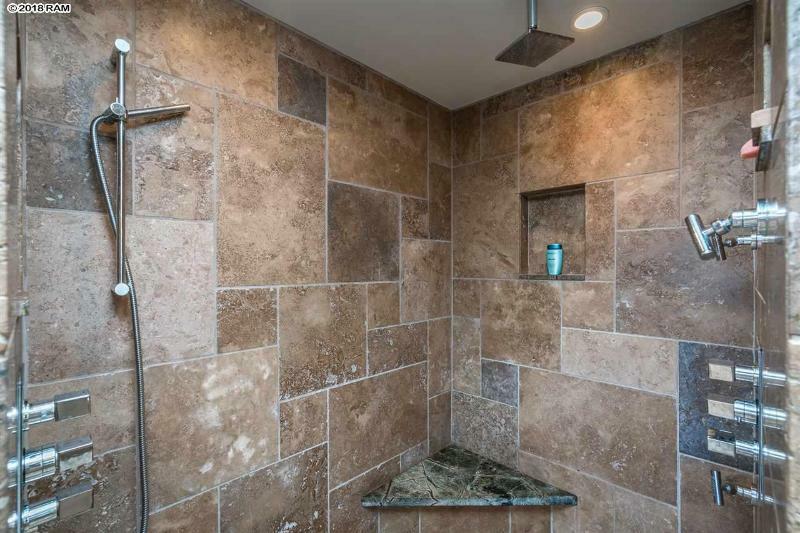 The travertine lined shower has a rain shower with body sprayers and hand-held sprayers. 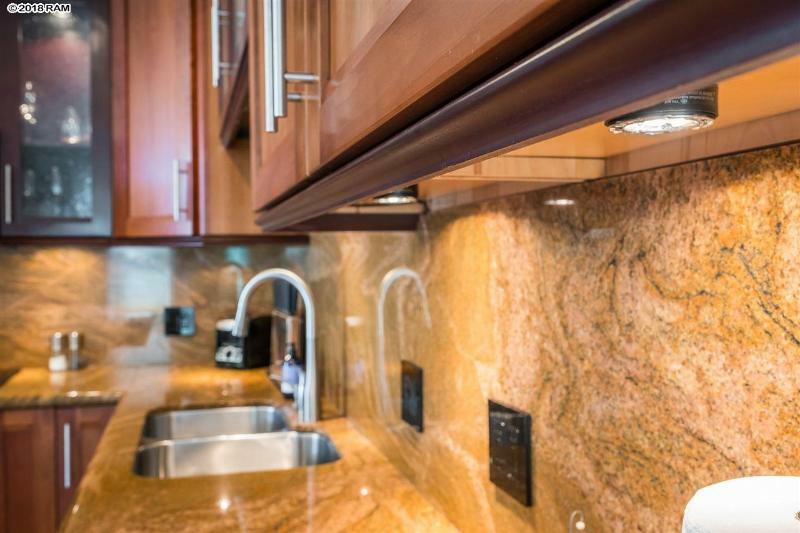 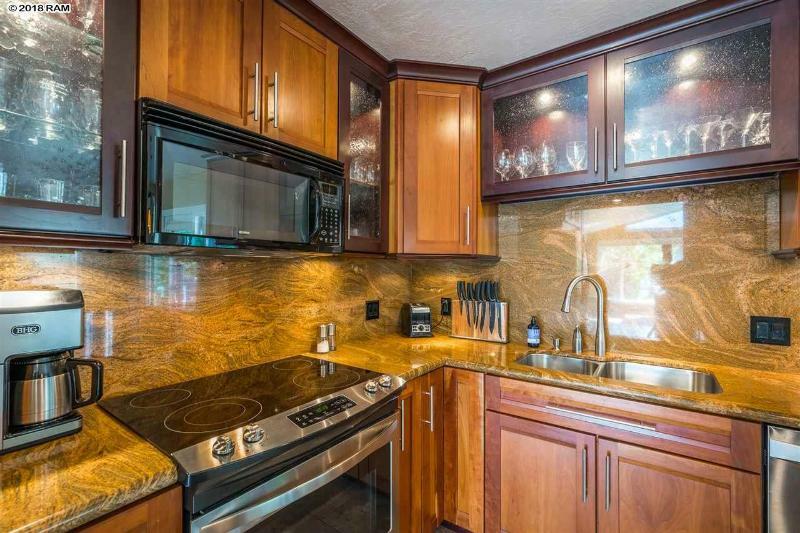 The floors are stone and the countertops are rain forest granite. 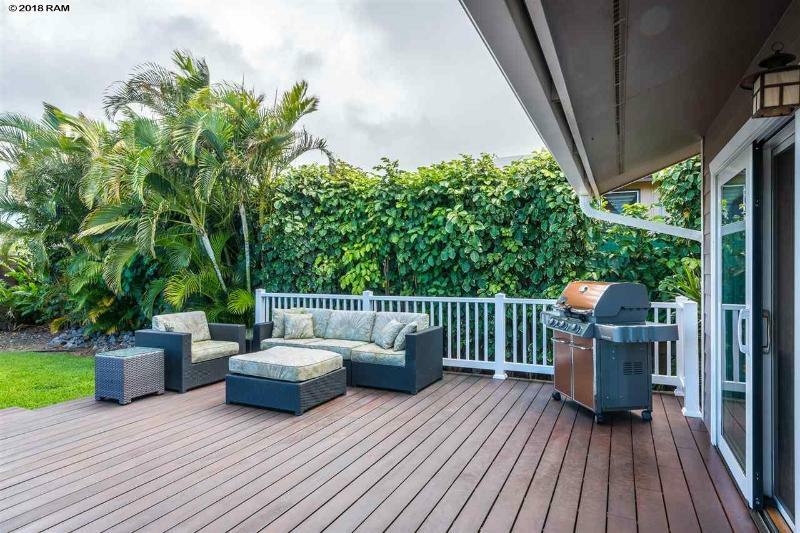 The outdoor living spaces offer similar quality to the indoor spaces. 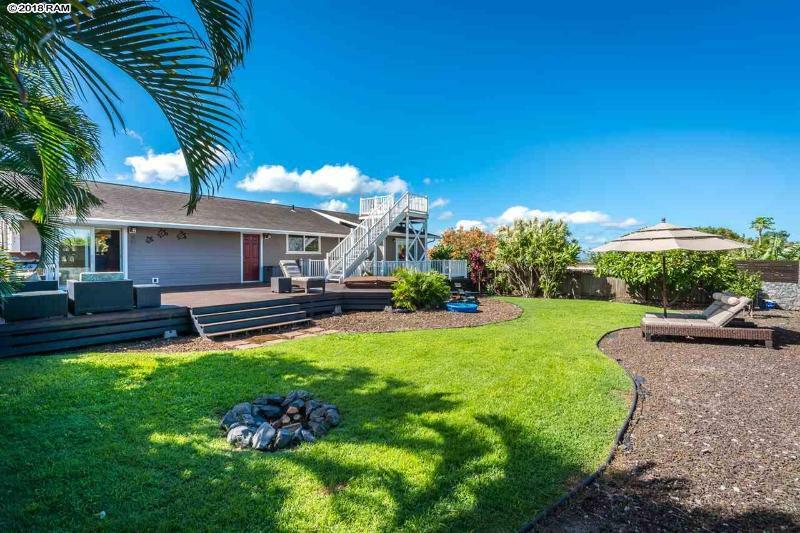 The back yard is fenced for privacy. 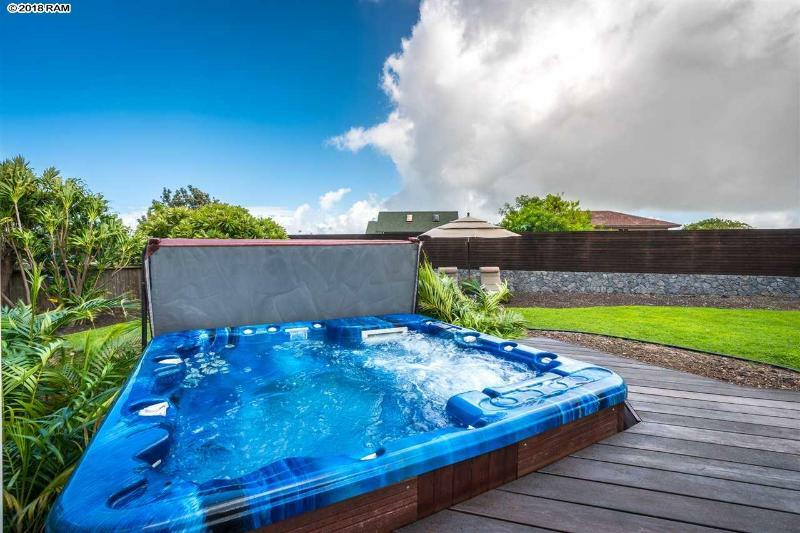 A large ipe deck with a six person hot tub is great for relaxation. 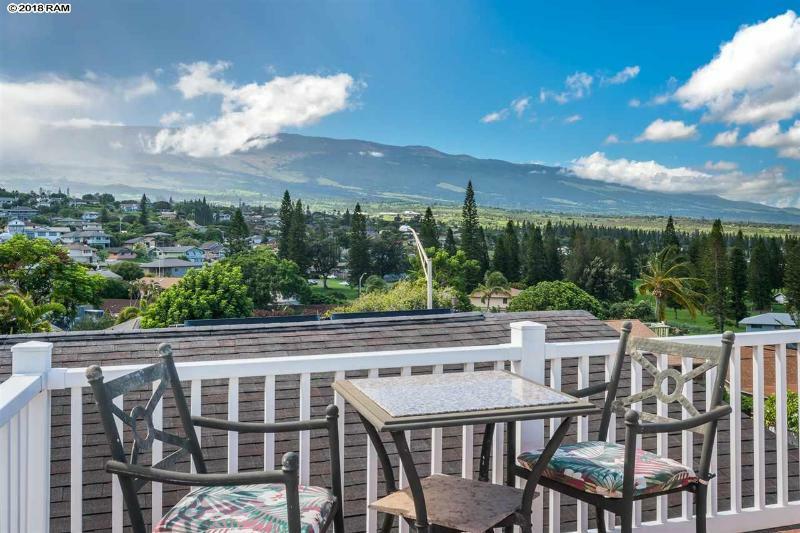 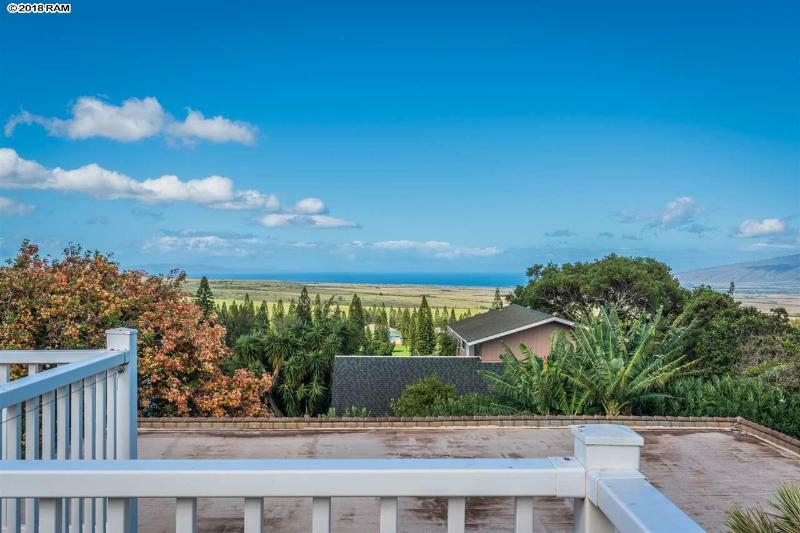 The roof top deck provides stunning vistas of Haleakala, the West Maui Mountains and Ma'alaea Bay. 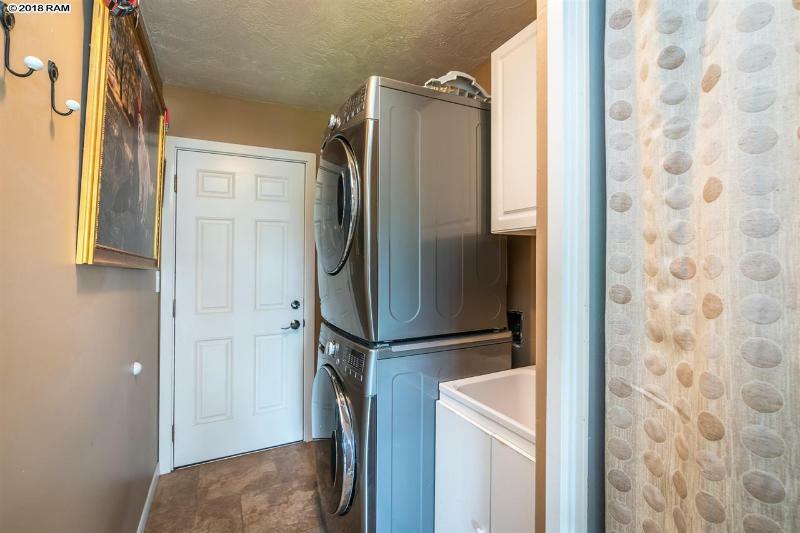 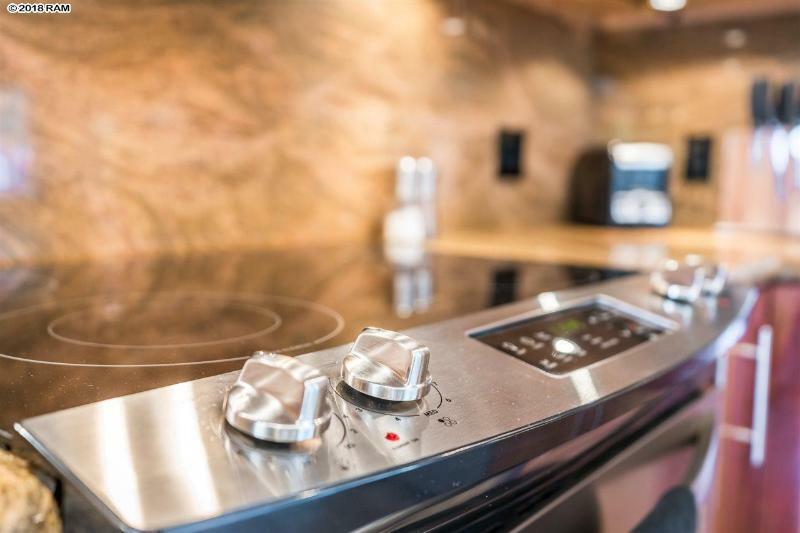 There are too many other amenities inside and outside the home to mention. Call your favorite Realtor and treat yourself to a showing today. 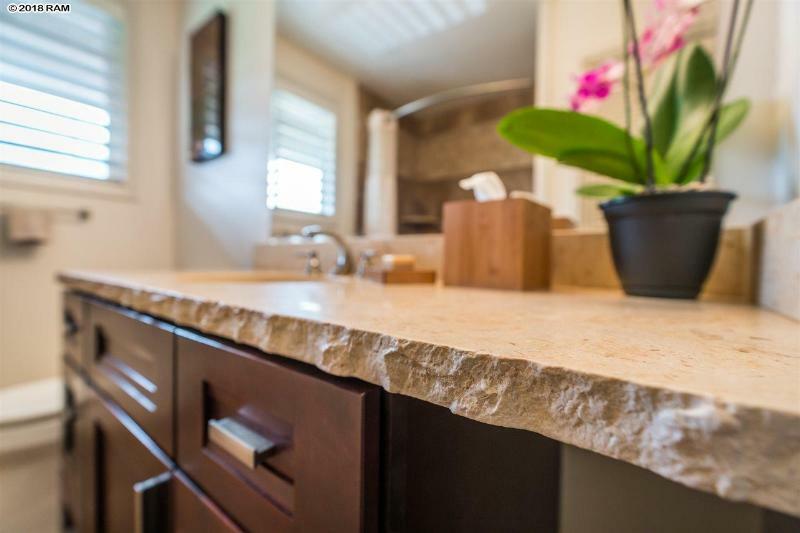 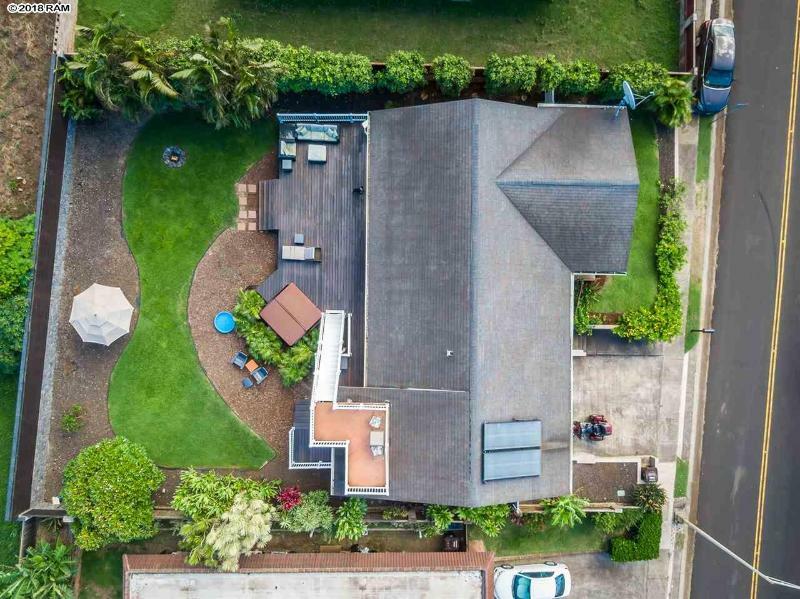 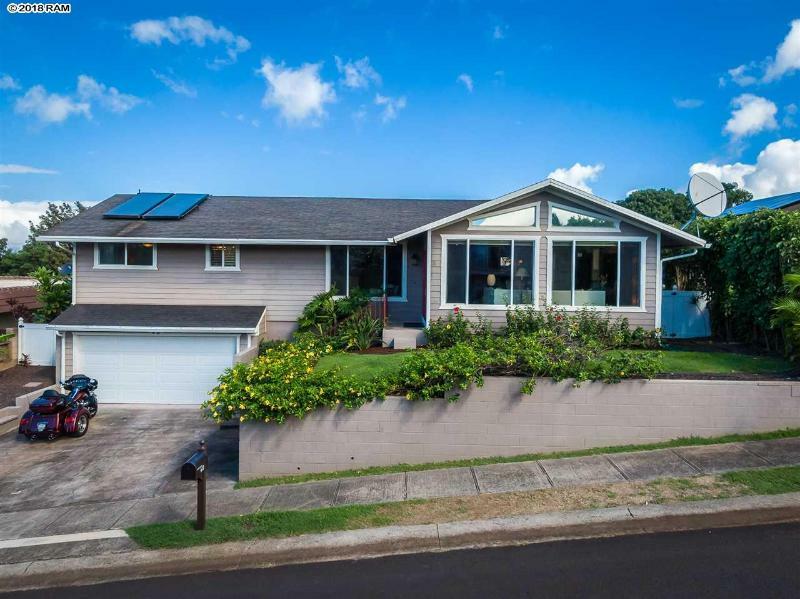 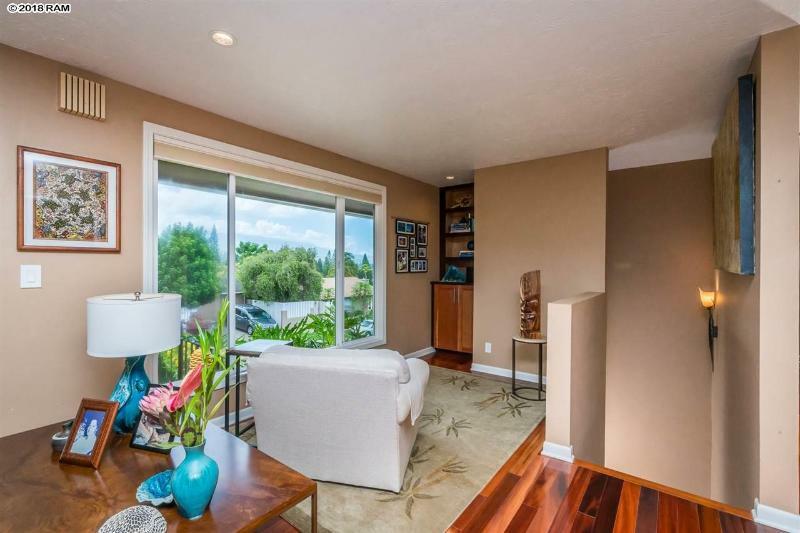 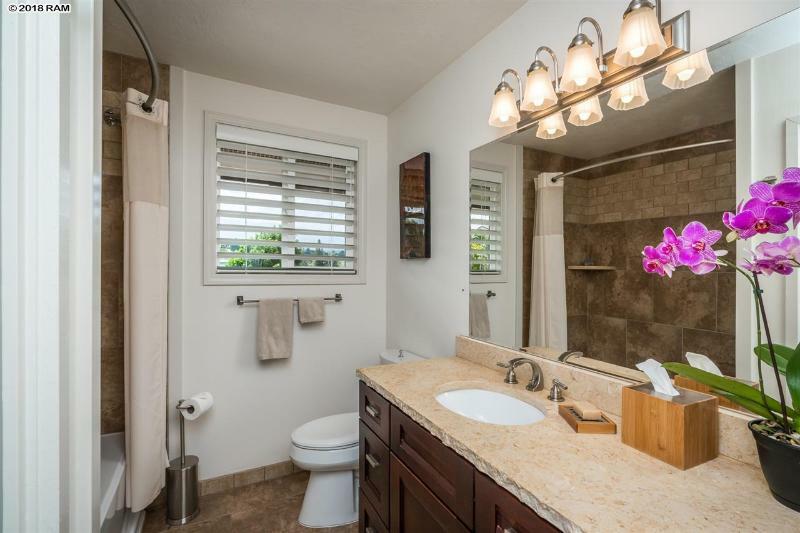 49 Hiwalani Loop, Pukalani, HI.